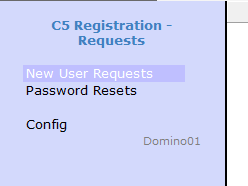 Thank you everyone for the great feedback and interest in our external users registration app. I had hoped that people would find it useful and I think we have a way of distributing it at no cost to anyone interested. 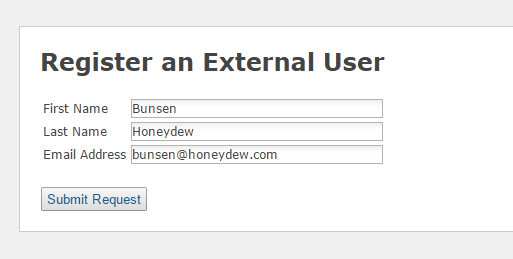 First you need to set up the configuration telling the app where the Directory that will contain external user names is. This the directory that TDI will reference when creating policies but user accounts aren’t copied into it until the registration process is entirely complete. This is the registration page for the public registration where anyone can sign up for access. Obviously you could modify this to have further checks in place but bear in mind Connections only allows access for external users to Communities they are invited into so if I did register myself and login, I wouldn’t be able to see or do anything without a further invite. 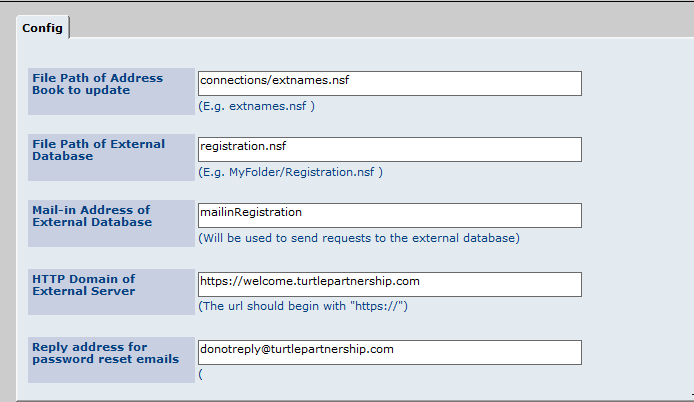 The registration page used for the internal invite model is slightly different but still checks the email address being registered is not already being used. In each case the activation screen resulting from clicking on the link is the same. The password requirements can be modified by changing the code. Please email Mike Smith (mikes @ turtlepartnership.com) or myself if you need more information or a copy of either the public registration or internal registration app. Bear with us and we’ll get it out to you as soon as we can. This entry was posted in Connections and tagged Connections. Bookmark the permalink. Excellent job. We’ll be in touch soon to get it installed. Fantastic. I’d been hoping someone had written such a tool, so I didn’t have to try! Will follow up via email. Thanks!